Egg tart is the short name of egg custard tart. 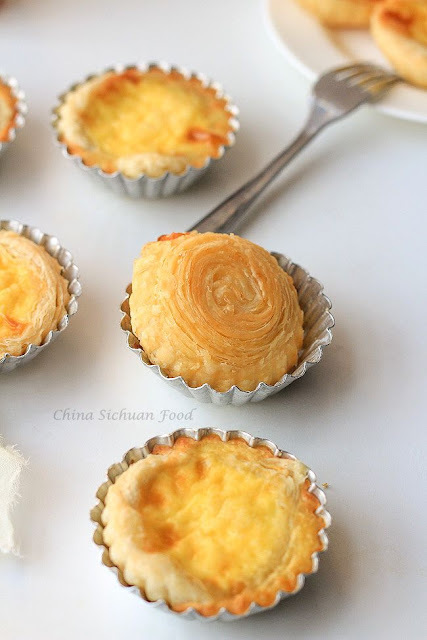 Homemade yummy Portuguese egg tart with egg tart wrapper recipe and custard filling recipe. I have been waiting for quite a long time for a cooler fall here. Now finally it comes! I can enjoy homemade perfect egg tart at home. We have been enjoying warm and sunny time for around 9 months.Before we begin, it is really important to note that this egg tart (Portuguese egg tarts) wrapper will be a tough task in higher room temperature over around 25 degree C. So fall and winter should be the perfect time.